On 15 April 8 Corps arrived at Belsen and the Deputy Director of Ordnance Services 8 Corps was one of the first to enter the camp. The camp, he found, was ‘a cesspit of filth and disease; men, women and children were dying by the hundred every day; and 10,000 unburied bodies, in various stages of decomposition lay around. Priority one was to get the medical services going, and within 48 hours, 304 mobile laundry was in the camp and working. Bath sections 304, 105, 305 and 310 Mobile laundries arrived within a matter of days. and inmates of the camp were soon having their first bath since imprisonment’. The principal role for Ordnance was the provision of mobile Laundries and Baths and bedding and clothing. On entry into the camp the medical teams found that of 28,135 women, 21,000 required hospitalisation and of 12,000 men over 9,000 required urgent treatment from conditions including typhus, tuberculosis, enteritis and famine oedema. The camp had been without water for five days and so the most immediate task was the trucking in of water and the construction of new supplies. Every inmate was starving and so appropriate food was needed. Then came the burial of the dead, the washing of the living and the provision of clothing, and the dusting of everything to kill lice. Requisitions of clothing had been made from the local population and substantial stores were discovered in the blocks previously occupied by SS guards. These stores, including clothing and bedding, were issued to non-hospitalised inmates. The block itself was converted into use as a hospital and again much of the equipment needed was found to have been on site. The remaining equipment needed was brought in by Ordnance personnel from the Antwerp AOD. 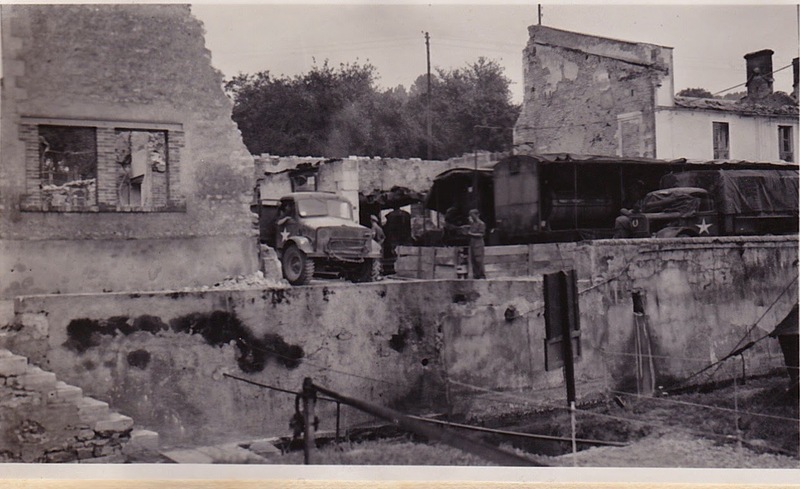 The operation, led by the 249 (Oxfordshire Yeomanry) Battery of the 53 Anti-Tank Regiment, included, in addition to RAOC personnel operating baths and laundries, men from REME, RASC, Military Government and of course British Red Cross and RAMC General Hospital, Field Hygene, Light Field Ambulance and Mobile Bacteriological Laboratory. In spit of everything that was being done, the death-role continued to be high for many days.